The Golden Eagles recovered from a rocky early May to upset two of the South Jersey Group III tournament’s top four seeds en route to the program’s first ever appearance in a sectional final game. Sophomore Madison Melvin was one of a few key players on Seneca’s 2017 sectional finalist team. When the South Jersey Group III softball tournament kicked off on May 18, Seneca High School wasn’t playing at the top of its game. The Golden Eagles had lost five of its previous eight games prior to the start of the playoffs. Seneca had been shut out four times in May and suffered its biggest loss of the season, 12–2, against Washington Township High School the day before the playoffs began. However, in the playoffs, everything clicked for the Golden Eagles. As the №8 seed in the tournament, Seneca went on the best playoff run in program history, advancing to the South Jersey Group III championship game for the first time before being eliminated against Pinelands Regional High School. “When playoffs happened, we played perfect,” head coach Chrissy Gerber said. Seneca was a team built on pitching and defense. The Golden Eagles only allowed more than five runs in two of its 24 games in 2017. Senior pitcher Eliza Sweet was a big reason for Seneca’s run prevention. Sweet had an outstanding season, finishing the year with a 1.92 earned run average and 134 strikeouts. Opponents batted just .203 against her, and Sweet walked only 17 hitters the entire year. Offensively, Seneca played a lot of small ball. The team lacked power and only hit three home runs the entire season. However, the team did have speed and took advantage of it at the plate. Seneca saved some of its biggest hits for the postseason. After dispatching №9 seed Absegami, 5–2, in the first round of the playoffs, Seneca hit the road to play №1 Cumberland Regional High School in the sectional quarterfinals. Seneca trailed Cumberland 2–0 in the fourth inning when, with two runners on, catcher Kristen Szurley hit a three-run home run to give the Golden Eagles a lead they would not relinquish. Sweet allowed just one hit in the final two innings to preserve Seneca’s 6–4 upset win. 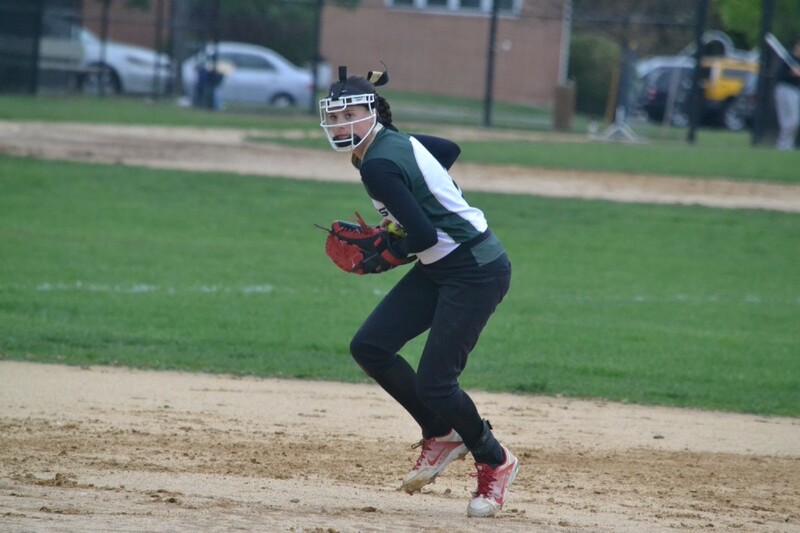 Seneca got a solid pitching and hitting performance in the semifinals from Sweet to defeat Lacey Township High School, 3–1, sending Seneca to the sectional finals against Pinelands. In the championship a game, a couple errors in the field and a lack of hitting hurt the Golden Eagles as they lost, 3–0. Despite falling just short of a title, the team was proud of its 2017 playoff run. “I take a great deal of pride knowing that every year I’ve been here, I was a part of something special and I was a part of new history for Seneca, because every year we went a round further,” Sweet said. Briggs and Melvin both said they gained confidence during the playoff run and feel the program is very close to finally winning its first championship.